Dream Team Coloring Book – A Dream Come True for One Educator. It all started when I was an 8th grade literature teacher. I remember pacing near the whiteboard, looking at my teacher’s manual, when I noticed a quote in the book I hadn’t seen before. I wish I knew the quote (and I’ve searched for it many times), but essentially it said this: “How do you know when a society values a person? When you see that person in their children’s literature.” I remember at the time being so struck by this idea, and how this seemingly simple concept was quite a good litmus test. Fast-forward six years and I was now a mom to my beautiful four-year-old daughter with profound special needs. My husband and I met Abiella when she was living in Ghana and finalized her adoption a few months before her second birthday. As soon as she turned three she began attending an inclusive preschool. In her classroom, fifty percent of the students had special needs, and fifty percent did not. On one of her afternoons off from school, I found myself in a familiar scene: my daughter was relaxing on a quilt on our living room floor while I was searching through our baskets of books and toys to grab something she might find entertaining. As I pilfered through our dozens and dozens of options, all of a sudden I was back in my classroom, standing as a teacher in the front of the room, reading that quote. In that moment, it dawned on me that out of the massive number of children’s books, activity books, coloring books, and games in our house- not one had a single picture that represented her or her world. Was it possible that my daughter had never seen herself in a piece of literature? I began thinking about her other friends at school. Had they seen themselves? What about the young child with a tracheostomy- had he seen himself? What about the young friend with a limb difference- had she seen herself? I later found that yes, there are pieces of literature out there (thank goodness), that are very often created by other parents facing a similar gap. I decided there could always be more and that I wanted to add to that body of work. With the help of an illustrator, I began the process of creating an inclusive coloring book. I modeled it off my daughter’s pre-school experience. Among the pages, there are many stories. There are children who use walkers, wheelchairs, braces, splints, and sensory headphones. There are also members of The Dream Team who do not have hair, have limb differences, or breathe with a tracheostomy. I also included a happy hospital scene, as many children with medical challenges often spend quite a bit of time in these environments. Additionally, you will be introduced to amazing children who do not have a diagnosis or perhaps have a special need that is invisible. All of these children are a part of The Dream Team (Volume 1): A group of kids who love hanging out, living life together, and enjoying the awesome magic of inclusion. While I certainly couldn’t fit every situation into a 20 page book, I do believe it’s a start. Illustrations range from simple to complex and my hope is that individuals with unique circumstances might see themselves portrayed in a happy, positive way. Lastly, I hope this book offers a place for curious minds to ask questions when they see something that feels unfamiliar. It is certainly a coloring book for everyone. The Dream Team Coloring Book is a free resource, and since I hit publish two months ago, it has been downloaded nearly 700 times. Many individuals have told me they are also making copies for their classrooms, clinics, family and more. This is incredibly exciting and I absolutely love seeing pictures of young children putting their own touch on these awesome pictures. The book can be found on my website at www.marysusanmcconnell.com/dreamteamcoloringbook . It can also be uploaded into various devices, allowing individuals (like my daughter) who color with assistive technology to have fun with the pages as well. This coloring book was a joy to create and it has been an enormous thrill to see it out in the world being enjoyed by families across the globe. Thank you Jess for the opportunity to share the book on your incredible platform. Mary Susan McConnell is the host of the popular Mama Bear Podcast, a space she created for fellow women raising children with special needs. 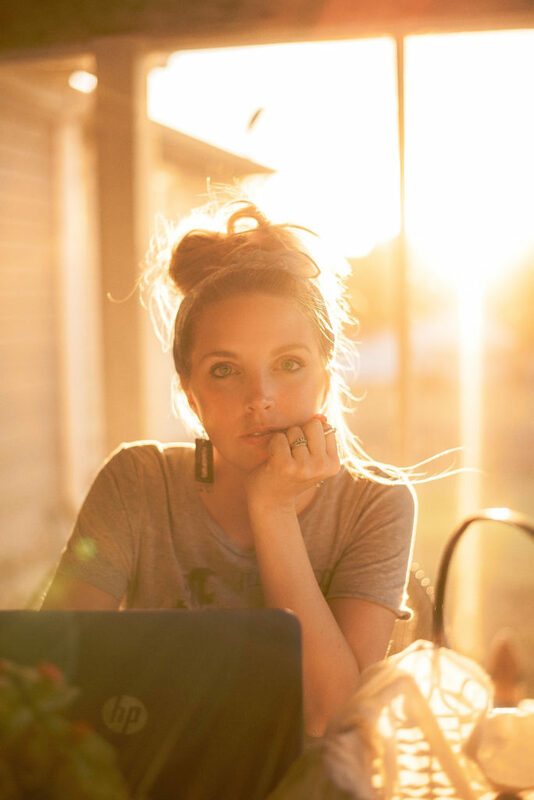 As a former middle school teacher, she has her Master’s in Curriculum, Instruction, and Assessment and is currently working on her Doctorate in Special Education. She is also the creator of the inclusive Dream Team Coloring Book, a free resource she developed to provide an opportunity for children with a variety of unique circumstances to see themselves in literature. In her spare time, Mary Susan likes to make pottery in her at-home studio. She resides in Tennessee with her husband, 8 year old daughter, 16 year old dog, and 10 chickens. 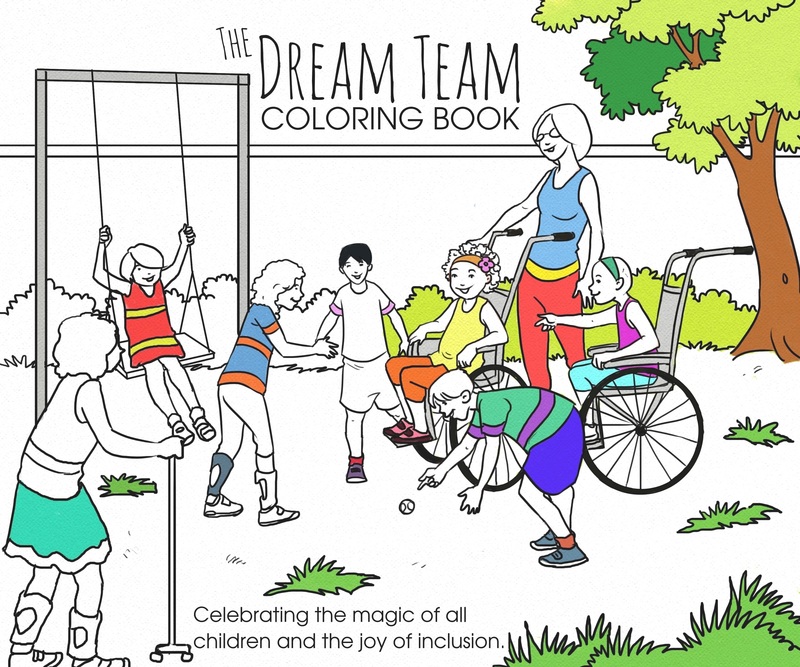 Posted in My StoryTagged disability, inclusion, jessplusthemess, justkeeplivin, marysusan, special needs childrenLeave a Comment on Dream Team Coloring Book – A Dream Come True for One Educator.